The bank has been working on this for “a long time”, says Catharina Hoffsten, a mobile payments executive at SEB. The solution is now in beta version. To use Samsung Pay, SEB’s customers need to have a Eurocard or Mastercard issued by SEB or SEB Kort (a card issuing subsidiary of SEB). SEB’s Visa card will not work with the service, but Maestro will be added shortly, the bank says. A customer will also need a Samsung smartphone or another compatible mobile device. The card has to be registered and linked to the Samsung Pay app. 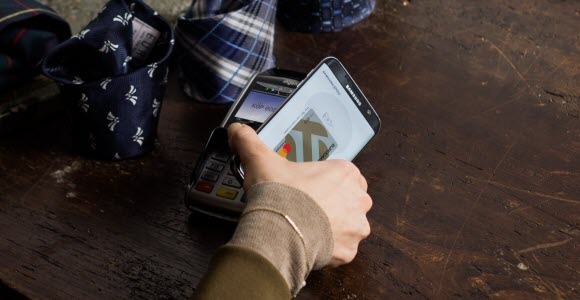 Another Nordic bank, Nordea, has also announced its support for Samsung Pay in Sweden. Samsung Pay has been fully launched in 11 markets to date: South Korea, US, China, Spain, Singapore, Australia, Brazil, Puerto Rico, Russia, Thailand and Malaysia. It is also making inroads into India.